As our artists often excel in more then one craft and interact in between disciplins we wanted to shred a light on a wider spectra of their work. As you might now TANC is also a music maker. Making and producing conceptual electronic music. His art is closely connected to his music. While painting he monotonically moves his arm in tune with his heart beat which activate his arm like a metronome. A flow he is not trying to control but rather trying to understand as the composition takes place at the canvas. Looking at the finished art piece you can almost see a frequence, a rythm in the abstract pieces. In the same way his art work in spray painted script comes into existence from what he calls “automatic writing”. 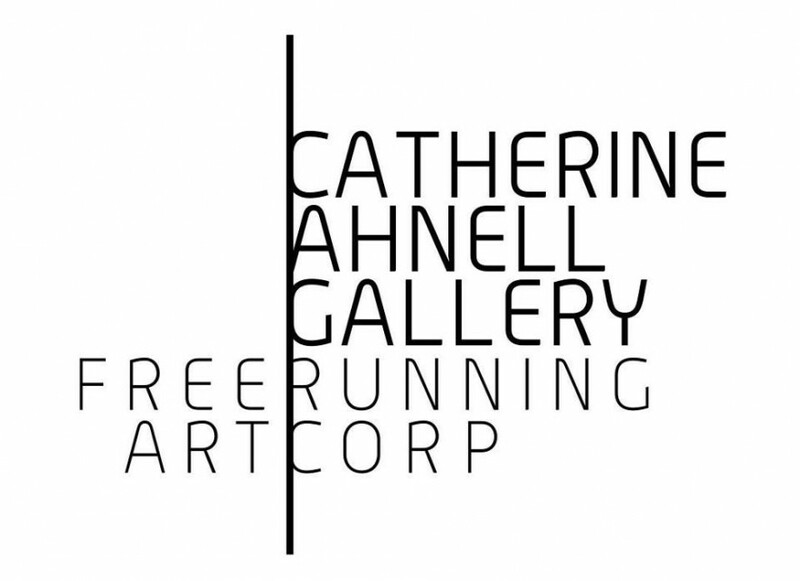 Exhibting worldwide most recently at the CAFA art Museum in Beijing curated by Magda Danysz, his solo exhibition at Catherine Ahnell Gallery in June 2013 marked his US debut. For artist and actress Rebecca Dayan acting and painting need to co exist as one couldn’t exist without the other. Dayan’s parallel careers constantly inspire and feed of each other. As a perfect example she found inspiration for her solo exhibition Assumption at the gallery while researching for a role in her upcoming film. In the film entitled Novitiate, Dayan is playing a young nun, a role that required much research to understand. Dayan spent time studying stories that were either written by nuns or included interviews with nuns. This intrigue led Dayan to further explore the parallel that can be found between passions of religion and passions of eroticism, giving her the idea for the series of watercolor portraits she produced for her solo exhibition. Rebecca’s much discussed solo show marked her New York debut at our gallery in September 2015 with an almost outsold exhibition. She finished recording the film Novitiate this year. The core of KESH’s art work is already a fusion of disiplins. KESH started out in the East London scene as part of the DJ collective Coconut Twins and worked as a fashion designer and fashion director. From there her work evolved into digital art always in symbios with social media and virtual platforms. As one of the most relevant young female artists of today she works with an array of mediums and advanced technics that weren’t possible a few years back, creating installations and interactive experiences in collaboration with the audience. Earlier this year she released a track which she also debuted as part of a solo exhibition performance in Zurich in May this year.